Russian voters went to the polls on Sunday across the country and, as expected, the results are far from surprising. 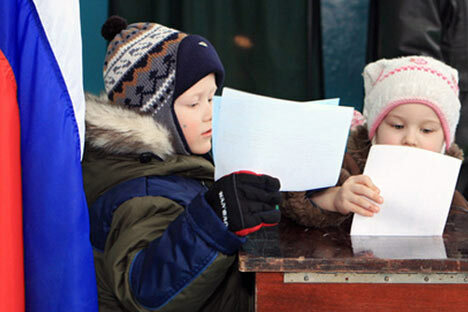 Residents of 74 of Russia’s 83 regions and republics went to the polls in local elections on March 13. Sunday’s turnout was higher than in the last year’s regional elections, while the number of violations reported was lower. Preliminary results show the dominant United Russia continuing to hold most regional legislatures. The Communist Party (KPRF), which came in second during the elections, has already accused United Russia of using “dirty tricks” during the campaign and on election day. “There has never been such an outrage like this before,” said party leader Gennady Zyuganov. Meanwhile, Vladimir Zhirinovsky, leader of the Liberal Democratic Party (LDPR), has noted “positive changes” during the spring campaign. But LDPR also reported violations during elections in Saratov, Orenburg, Stavropol, Kursk and Tver. Officials from the Central Election Commission (CEC), however, declared that the election day “proceeded smoothly.” The number of complaints did not exceed those during previous elections, said Leonid Ivlev, a deputy chairman of the CEC. About 20 complaints regarding irregularities came from State Duma deputies, and more than 30 from political parties. More than 60 cases of violation during the elections were reported to police. Prior to elections, the political struggle heated up, taking radical forms in some cases. On Friday, on the last day before the official 24-hour quiet period on campaigning, politicians continued to exchange blows. A deputy from the Liberal Democratic Party speaking in the Duma accused “unknown persons” of numerous violations, such as distributing fake leaflets with his party’s symbols and using planted data in campaign material. The deputy did not directly blame the parliamentary majority, United Russia, but implied its involvement. United Russia also accused its opponents of using dirty tricks. Deputy Alexander Khinshtein said that while the sad facts of wrongdoings are a reality in many Russian regions, the blame lies not with United Russia, but with its opponents, first of all the Just Russia party. Khinshtein went on to accuse a Just Russia candidate of having mafia connections, but the party’s deputies dismissed these claims as groundless.